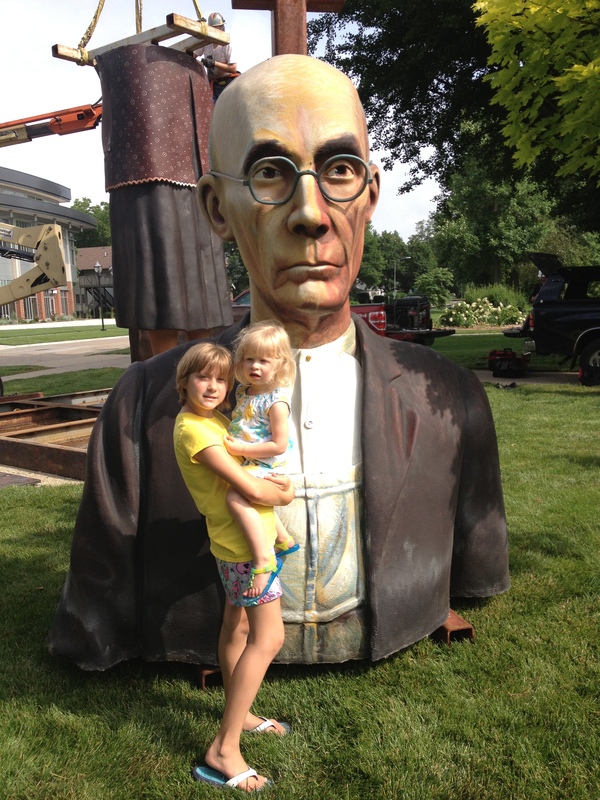 “God Bless America” Sculpture by J. Seward Johnson, Jr.
Just in time for Independence Day celebrations! What a privilege! 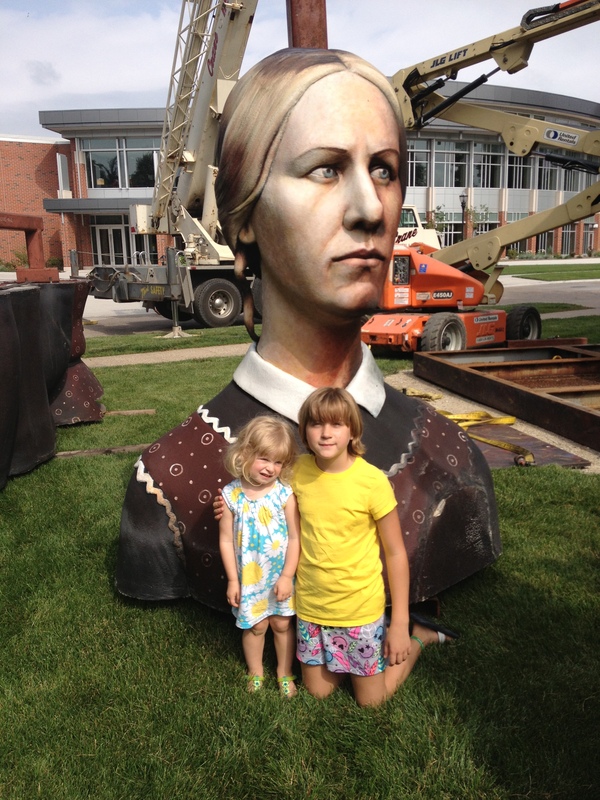 This sculpture is almost literally in our backyard… only five blocks from our house. 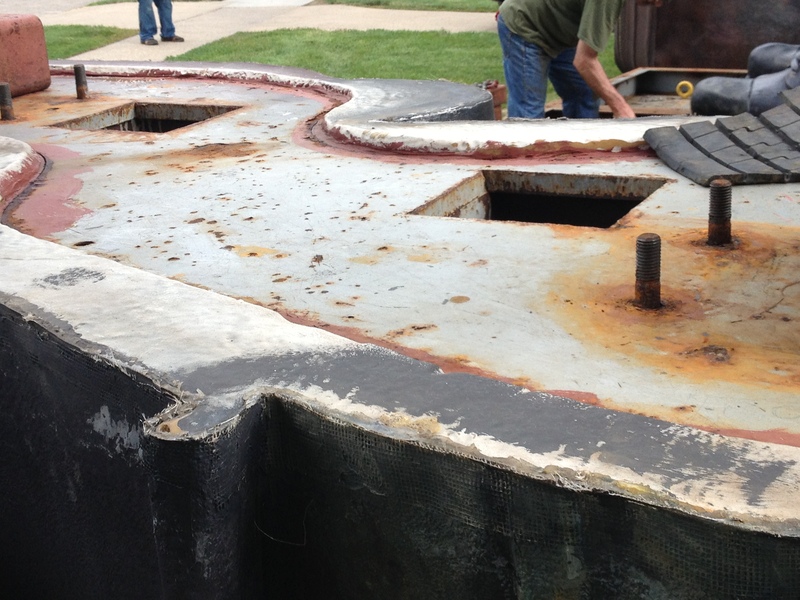 Bill Friedricks with the Iowa History Center located on the Simpson College campus is responsible for raising the funds and making the arrangements for us to enjoy this piece of travelling art through at least December 31, 2013… the rest of this year! A traveling sculpture it has already been on Michigan Avenue in Chicago; in Mesa, Arizona; Indianapolis; and most recently in Dubuque, Iowa. 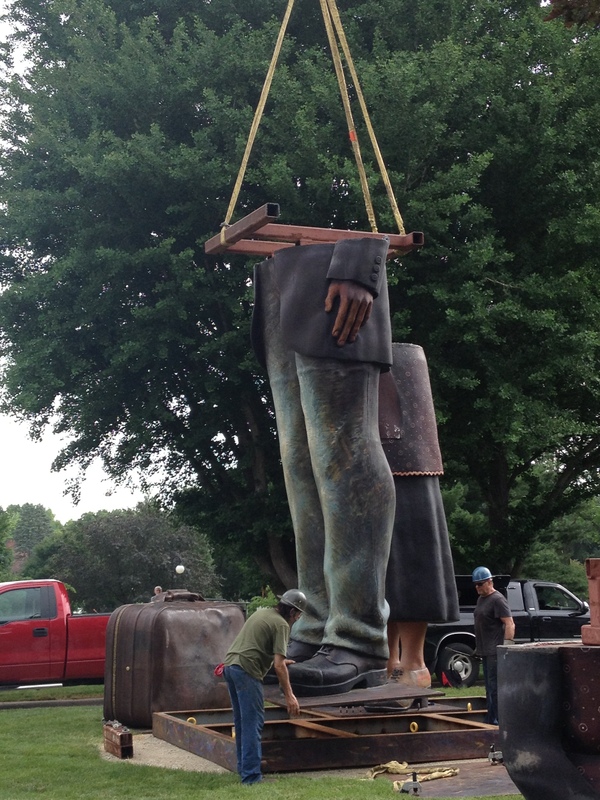 Some people think the suitcase is indicative of the travelling status of the sculpture; however, others think it points to American jobs being lost overseas. The stickers on the suitcase are from Taiwan, Shanghai, China, Bangladesh, India and Thailand. Whichever theory, we are pleased and proud to have it in Indianola! 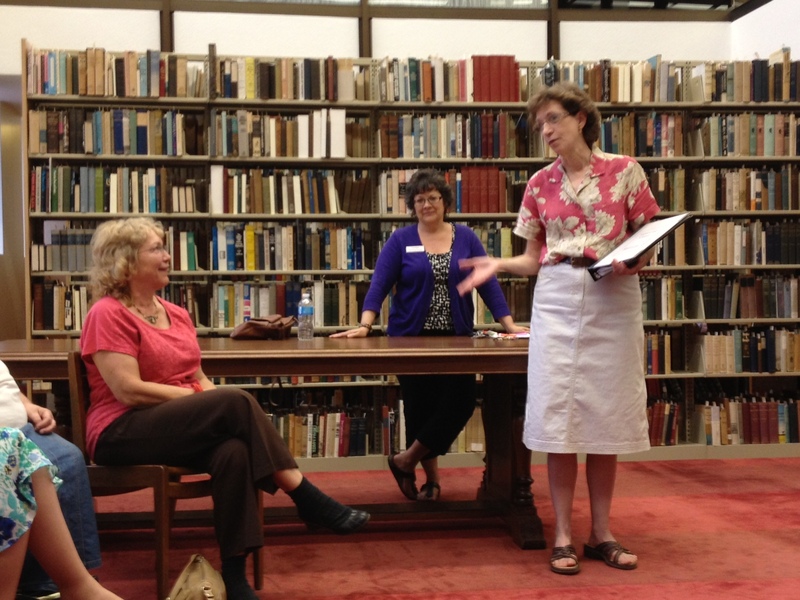 Recently our Warren County Genealogical Society experienced the rare opportunity to hear from both of our local librarians. Our meeting consisted of a brief talk by Joyce Godwin, Librarian of the Indianola Public Library (IPL) about the genealogy collection there. She said that the shelf list (with 132 family histories) is in process of being updated. She also told us that between the two libraries (IPL and Dunn) all of the extent newspapers for Warren County are available on microfilm. However, both libraries have been told that once their reader/printers need repair, parts are not available. When state funds for microfilming current newspapers were cut, the two libraries began funding the project so microfilming would continue for Indianola newspapers. 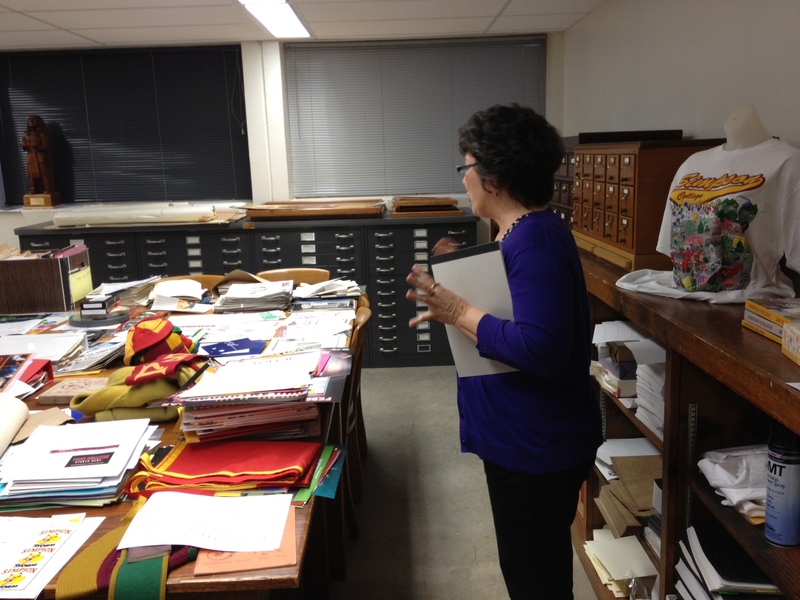 Cyd lead our group on a rare tour of the college archives. What a treat that was! While we didn’t see much of what is hidden away in labeled boxes, it still was an awesome feeling just to be in those rooms, knowing that we were surrounded by treasures. One time she was asked if she could find Jack Trice’s football jersey number (THE Jack Trice of Iowa State University fame). She found a football program from 1923 when Simpson played Iowa State, listing Jack Trice’s number as 37. George Washington Carver attended Simpson and the archives has several items relating to him. Even though a fire destroyed many items, she is always happy to research if a family tradition indicates that someone attended Simpson at any time, even the Simpson Music Conservatory or the Simpson Academy. The Indianola Public Library and Dunn Library have a joint online catalog. An IPL library card also allows holders to check out books from both libraries. IPL has a subscription to Heritage Quest that card holders can use on their home computers. Dunn Library has subscriptions to many databases but these must be accessed at computers within the library. 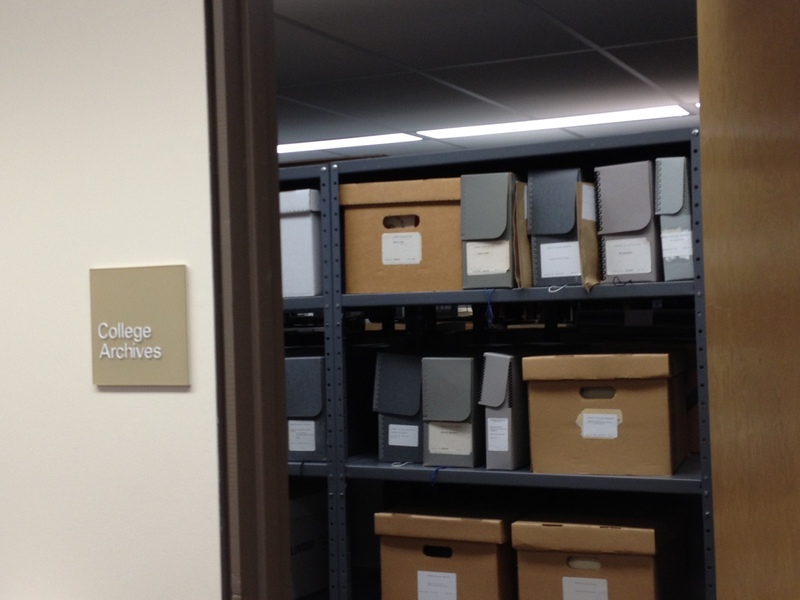 While Dunn Library is not oriented to genealogy, the college has a strong history department and since the two fields overlap, this library has a wealth of historical context information for the researcher. Dunn Library is located a mere five blocks from our house, easy walking distance, partially through beautiful Buxton Park. The Indianola Public Library is only 3 blocks further down the sidewalk. Sometimes I even see our 2 1/2 year old granddaughter out walking with her nanny when I’m in this neighborhood. My sunshine for that day!